Work and play with ease. 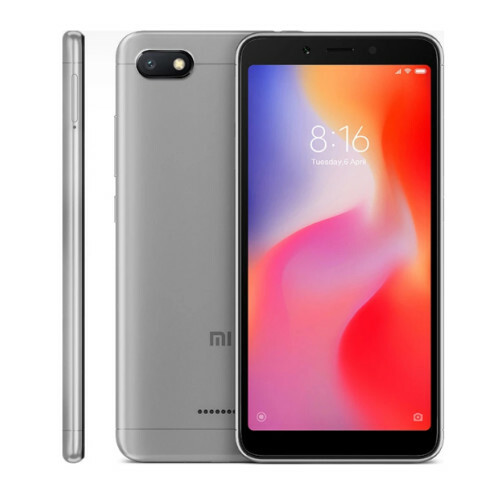 However you use your phone, this processor’s 2.0GHz clock speed ensures a seamless response time, and since it’s optimized for use with MIUI 9, it keeps up the smooth-as-new experience even after heavy use. The Redmi 6A's processor is made with 12nm technology, so it's less energy intensive and optimized for compatibility with MIUI 9 for long-lasting endurance. The Redmi 6A was designed to give a broad field of view and still feel just right in your hand. With a 5.45 inch 18:9 HD screen covering 80.5% of the front surface, it's a cinema-quality experience in a slender frame that fits snugly in your grip. Supports simultaneous use of two SIM cards for data and phone calls and a microSD card for data storage.